More than 90 percent of auto-related crashes are due to human error: a distraction, a mistake. 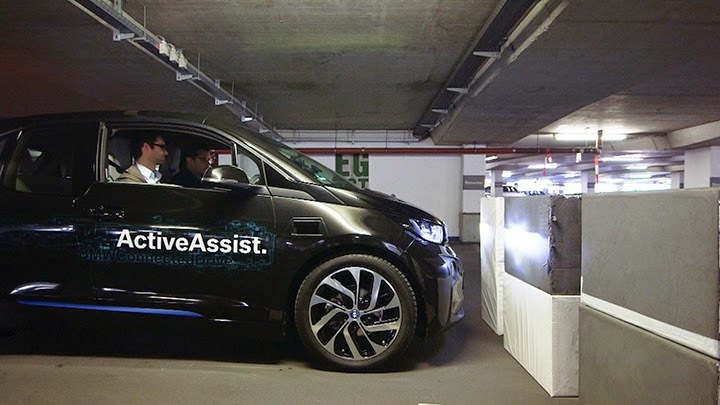 With its new “Active Assist” technology, BMW is trying to do everything it can to take those errors out of the equation. Using laser sensors, the system effectively keeps a 360-degree vigil and will automatically and gently brake before a vehicle hits any stationary object. If you drive full throttle at a wall, Active Assist will stop mere inches away, without the driver touching the brakes. While collision-avoidance systems are not new—many cruise-controls automatically slow down when you close too fast on the car in front—BMW’s sensors keep track of walls, columns, and other stationary objects, constantly redrawing a map of the surrounding area. The next step for BMW now is moving objects, which would involve developing algorithms to show not only where a cyclist or car is, but where they will be.